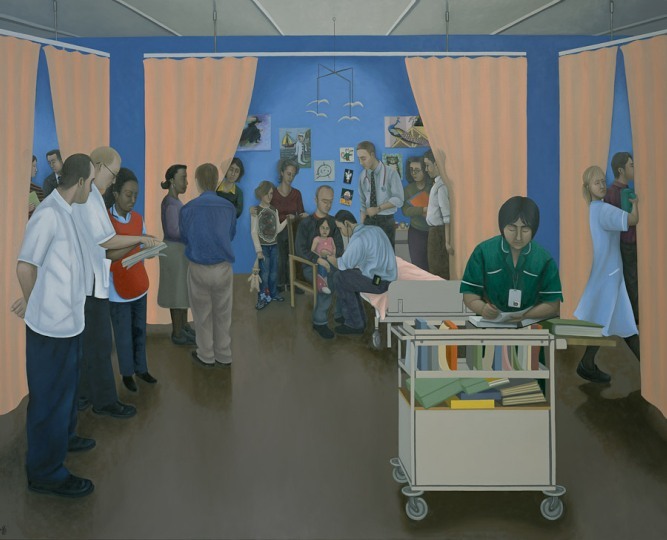 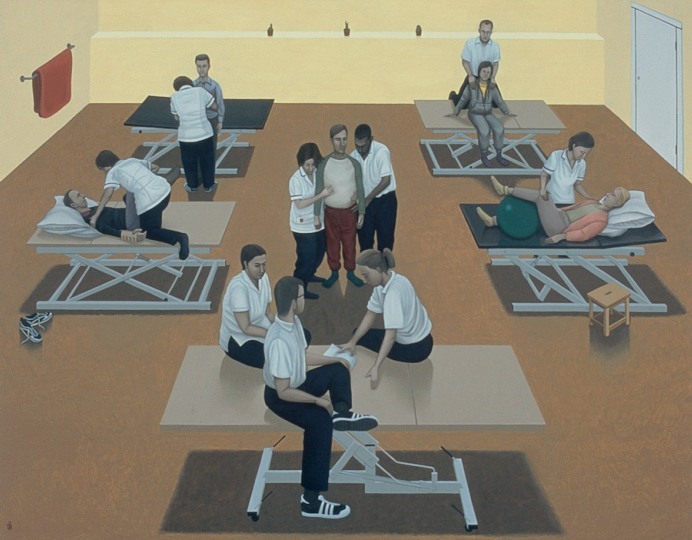 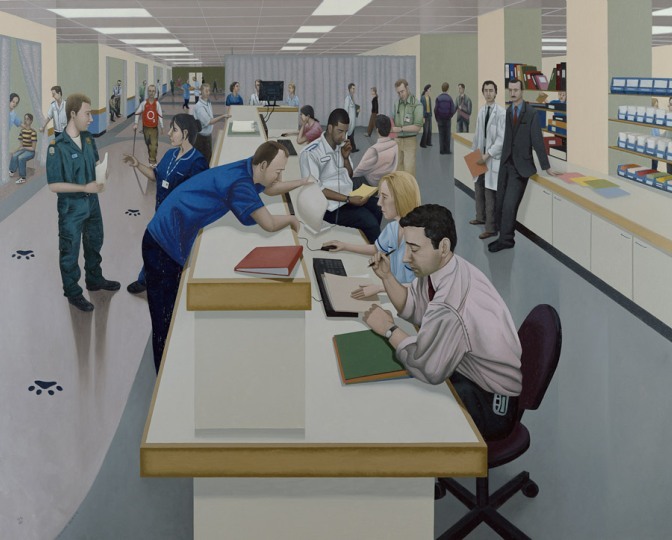 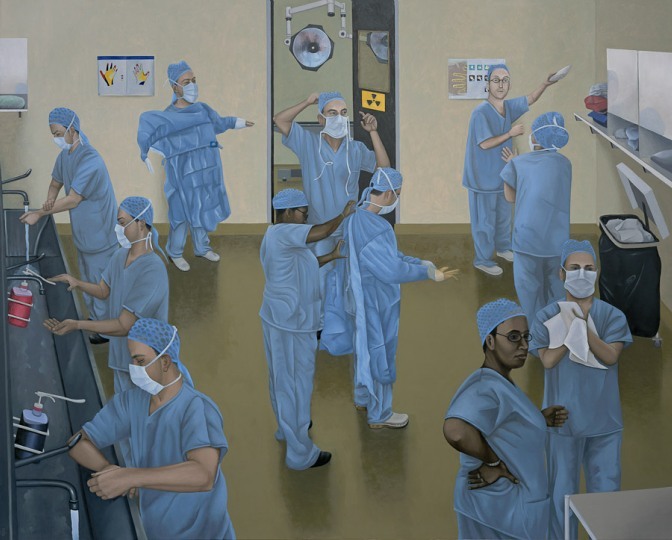 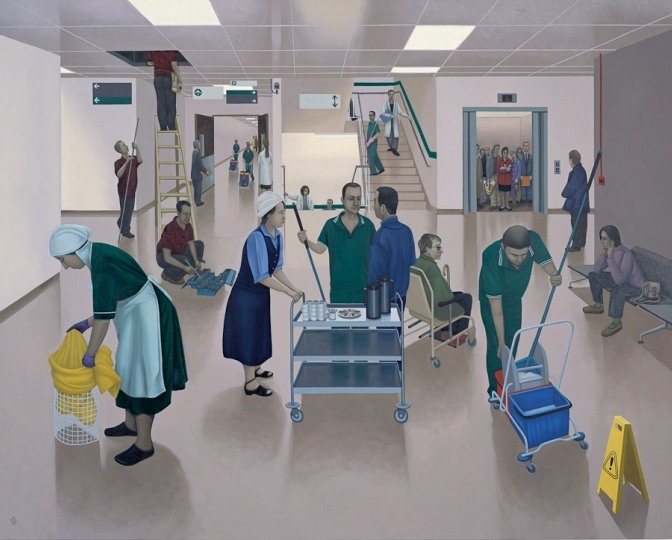 In 2001 Simon won a competition with the painting Sweepers Dance that led to the Royal Free Hospital commissioning six pieces depicting all aspects of hospital life. 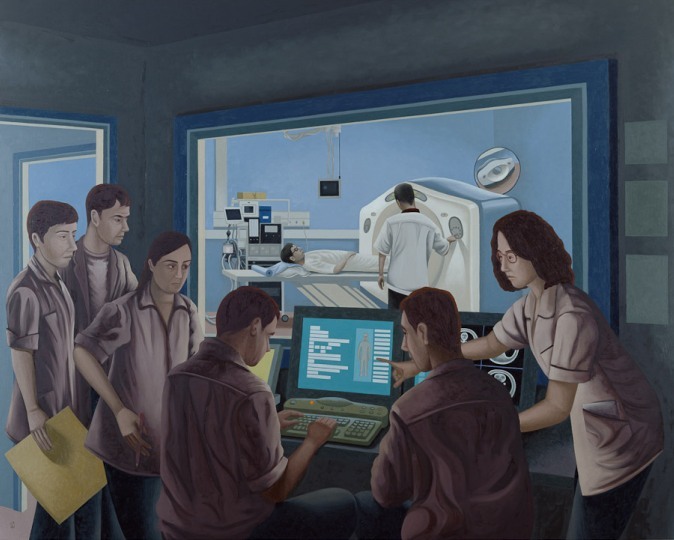 These paintings are now on display in the hospital’s Atrium. 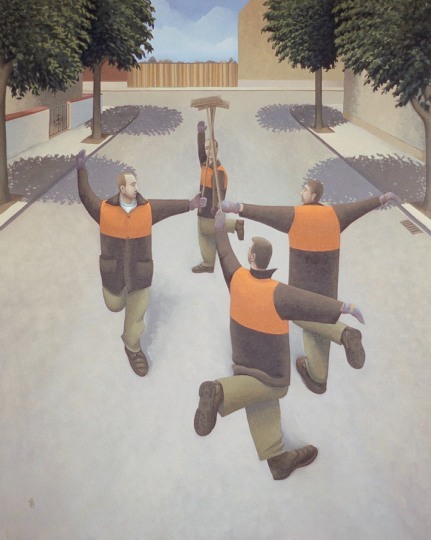 The Sweepers Dance is in the hospital’s general collection.